Are you planning to setup new cooking equipment for your kitchen and you seem pretty confused? Does the innumerable amount of cookware brands leave you clueless about how to choose your cookware set? In recent times, there has been a rapid rise of different kinds of cookware sets which also depict the combination of materials varying from, stainless steel to cast iron, aluminum and copper. So, if you want to make an optimum investment in the ideal set of cookware, this guide will help you choose the best cookware set for you and be in a win-win position. You can thank me later! 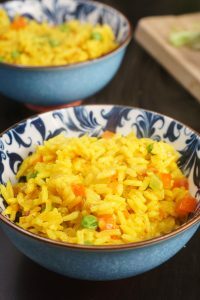 2 What kind of meals do you cook often? 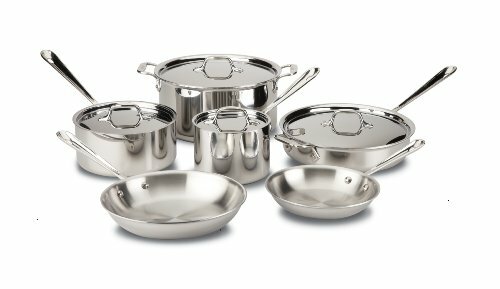 Let’s face it, if you go directly to a top-chef-quality cookware set it can reach the thousand dollars value. But there is no need to spend a fortune in pans. The key of this dilemma is to assign a budget and a couple decisive factor. For example, the budget would be 200 dollars and for me it’s crucial that the set would be nonstick and dishwasher safe, then I’ll probably choose the Rachael Ray Hard Anodized set. If your budget is low you will have to have a lot of flexibility in your selection process. Also, if you are more of a casual home cooker, a smaller set or even individual pans may be the right solution to the budget problem. On the other hand, if you have an inner Chef Ramsey or you desire cookware that lasts a lifetime the All Clad Tri Ply set is a good example of a high-end set. It is made of Stainless steel —one of the most durable materials. Dishwasher safe and oven safe. The individual pieces can reach the 200$, so buying the whole set is a good deal if you know that you are going to cook a lot! What kind of meals do you cook often? If this is your main kind of meal you need a Dutch oven —preferably enamel porcelain— like the Le Creuset. You can start in the stove and then transfer it to this oven to slow cook for hours. You will save time —because you don’t need two pots for the job— and the flavor remains encapsulated until you serve. Usually Dutch ovens come separately, but it is a must for these dishes. Healthy and appetizing, delicious soups require large stock pots for all the ingredients to cook in the most supple and nutritious way. A big stock pot like the Cuisinart 766-26 Chef’s Classic is the perfect solution —outstanding performance with stainless steel cooking surface and aluminum encapsulated base that heats quickly and has even spread of heat. Since most of the nutritional soups that are cooked with herbs and vegetables require 2 to 3 hours of slow simmering, this stock pot not only seals in the nutrients and flavors but also provides a drip-free pouring option. 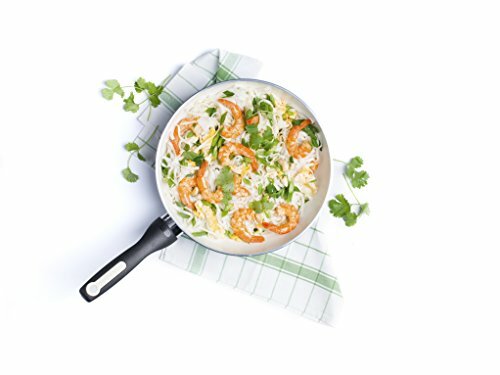 Easy to work with and highly appealing, nonstick pans like the Green Earth Frying Pan have been popular in several households for some years. The vibrant green exterior is of supreme quality with no harsh chemicals used and pure environment friendly materials. The silicone coated handles will enable you to cook your favorite pancakes in the smoothest way in no time. The pans —which are made of hard anodized aluminum— are oven safe up to 480F and hence can be used on all kind of stoves. The magnetized base of these frying pans enables them to be used on inductions stoves as well. It’s the perfect cookware for your kitchen if you are eagerly waiting for crisp golden-brown pancakes along with delectable hassle-fee fried/scrambled eggs. There is nothing better that a juicy steak with a perfect searing exterior. With the Lodge Seasoned Cast Iron Skillet you can achieve the brown searing easily and with restaurant quality. This cookware can be used on all stove tops, from induction to electric or gas, and even on the grill. It also works great on glass top stoves but you have to be careful not to scratch the surface of your cooktop. The Cast iron brings a appeasing aroma and a colorful touch to the food. All you need is a little bit of cooking oil to start cooking your steaks. If you love your stir-fry vegetables cooked to perfection, which not only tastes good but it’s also a wholesome meal, then the Calphalon Classic Stainless-Steel Cookware Fry Pan will be the ideal choice for your kitchen. The stainless steel with impact-bonded aluminum base and wide, flat bottom creates fast and even heating.The high-quality durable material of the cookware makes it oven and broiler safe. The classical —but controversial— nonstick material. The main benefit of using Teflon is the capacity of cooking your meals without any type of oil. Also, it is a strong material that reinforces the strength of the pans. It is difficult to peel and if you take care the pans properly, it can keep its nonstick properties for a long time. The most known downside of the Teflon is its safety. The reason is because when you overheat a pan with PTFE coating it will release toxic fumes (It can cause headaches, chills and even fever). Now these fumes are released in a temperature over 260ºC (500ºF). There is no way that you need such amount of heat in a normal recipe. The information about the lack of safety using Teflon is quite excessive. If you don’t let your pans to burn in the stove in a daily basis, then you should be fine using a high-quality Teflon pan – like any T-fal set. This is the main competitor of Teflon in the non-stick race. Using a good quality ceramic pan you can stop worrying about any toxic fumes. Also, this material usually is more eco-friendly and recyclable. The problem with a ceramic coating is the durability and the peeling —a regular ceramic coated pan lasts 4 years tops. You have to be extra careful with these pans and the majority is not dishwasher safe. You can choose the Green pan ceramic cookware set as an example of a high end ceramic set. If you want to see the best ceramic cookware sets, check this article. This material is made to last. It is highly resistant to scratches and denting. The shiny exterior doesn’t peel. If you love deglazing you will know that the only way to get a proper gravy is with a stainless-steel pan. The only con of a stainless steel is its poor heat conductivity. For that reason, most of stainless steel cookware sets comes with a copper or aluminum core like theDuxtop SSIB-17 Professional. If you want to see the best stainless steel cookware sets, check this article. Durable anodized cookware is regarded as the most reliable item in the market, especially for its tenacity and its flexible nature of allowing every kind of food to be cooked on it. The distribution of heat is equal and its rubberized handle ensures firm grip and doesn’t allow the heat to reach up to your hand. One of the major pros of this material is the nonreactive surface, so you can stop worrying about any ferrous flavor . The hard-anodized cookware renders a satisfying cooking experience, every time you plan to stir up something tempting. If you want to see the best hard anodized cookware sets, check this article. The ideal cookware for your kitchen. Budget friendly and highly durable: cast iron cookware exhibits a unique feature —non-stick base which requires minimal cooking oil while you are preparing your favorite cuisine. And with cast iron cookware, you can be assured of even distribution. It can be used in all kinds of cooking surfaces and even during campfires. If you don’t know how to season a cast iron pan —or simply don’t want to do it— you can get a cast iron pan in factory-seasoned form, like the lodge seasoned pan.. These pans might be a bit heavy but they are extremely sturdy and long-lasting. The aluminum cookware is usually non-anodized and as a result requires an additional nonstick texture for the interior for easy cleaning. This cookware is generally lightweight and is an outstanding heat conductor, but it often requires proper cleaning and can get stained easily. The food cooked in aluminum cookware might get oxidized if you don’t clean it well or if you overheat the pan often. This is common in the newest sets in the market. The body can be made of aluminum and the core stainless steel to increase the heat conductivity and to make the set induction safe. The good thing is that you can probably find the best features of two materials in one set. One example is the Waxonware Frypan that is made of a combination of stone and ceramic. The more durable materials are stainless steel and hard anodized, while nonstick pans usually don’t last more than 5 years. On the other hand, the nonstick cookware sets usually are cheaper, so you can easily repurchase them. In cookware territory, it’s not true that the bigger the better. Most homes do not need a 20-piece cookware set. That is a waste of pots and pans —and money of course— that surely you are not going to use and that reduces your store space. To fully equip your kitchen, the right number is around 10 pieces by set. This allows you to buy the basic pieces in one set and if you need an specific type of pan you can buy it separately. Also you surely will notice that a 20-piece set sometimes contains a lot of low quality items that you probably do not need. If you are seeking to stock up your kitchen with different kinds of cookware items, then you should take a good notice of the different types of pots and pans. Saucepans can range from small to large and are usually round and quite deeper than a frying pan. Often, they come with a lid and have a long handle used for heating liquids or melting butter without spilling the liquid. On the other hand, a sauté pan is a large, shallow pan with a flat bottom and straight sides, used for searing meat or sautéing that lip-smacking sauce. Skillets or frying pans are different from sauté pans by having slanted sides and aren’t as deep. They are ideal for stir-frying, allowing a spoon to slip in to stir the ingredients with ease. The stock pot is a tall, straight pot with a mouth that is the same size as the bottom. 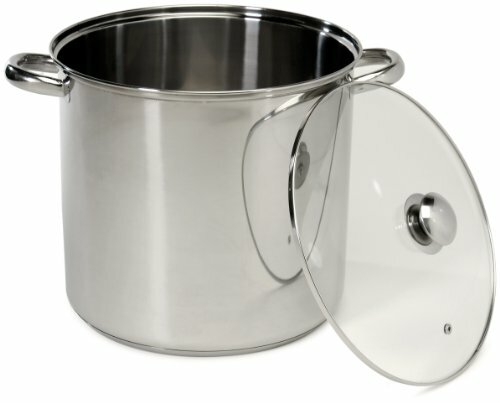 The sides often have lids, and there is typically a close-fitting top, perfect for cooking a flavorsome broth. The Dutch pan is equipped with thick walls, usually made from cast iron and straight or slightly tapered sides that can be used for various kinds of cooking preparations. Deciding the kind of cookware that works great with your cooktop may seem tricky. Gas stoves are the classic method of cooking and have been a favorite among several households. The aspects that you need to consider is that the pans heat evenly because the flames are unstable and don’t heat the entire surface with the same intensity. A pan with a rounded bottom will perform well with a gas stove. When it comes to ceramic-glass cooktops, you must avoid rough materials like cast iron and some hard anodized that can scratch the surface of your beloved shiny cooktop. And last but not the least, if you have a modern and highly-efficient induction cooktops your best option is any stainless steel set that works with the magnetized surface. There are some nonstick sets that have been adapted to work with induction, like the Bialetti aeternum set. Cookware sets have become so modern that you will certainly be spoilt for choice. There is the enigmatic Rachael Ray Hard Enamel, with eye-catching colors and evenly heat spreading features. There are also Calphalon Ceramic Cookware, with high-quality ceramic coating and doesn’t require much oil to prepare your dishes. Another good design is the Le Creuset cherry set which is beautiful if you like bright colors to match with your kitchen. Dishwasher safe: The majority of nonstick sets aren’t resistant to the high temperatures and abrasive detergents of the dishwasher. Also, a seasoned cast iron pan will loose the seasoned layer if you use the dishwasher. Oven safe: All pans usually can resit up to 400ºF but not all the lids or the handles can. Choosing the wrong set and assuming that is oven safe can end in a disaster… a disaster involving beautiful handles from your new set melted inside your oven. While selecting your cookware, make sure that you acquire the best cookware set according to YOUR needs. Depending on how much time you spend cooking, your expertise in the kitchen and your budget, make the right choice and give your kitchen a brand-new perspective and an exciting twist. If you found this article useful you can share it and follow The Cookware Geek on Facebook or Pinterest. Which Cookware Best Suits You, Cast Iron or Hard Anodized?